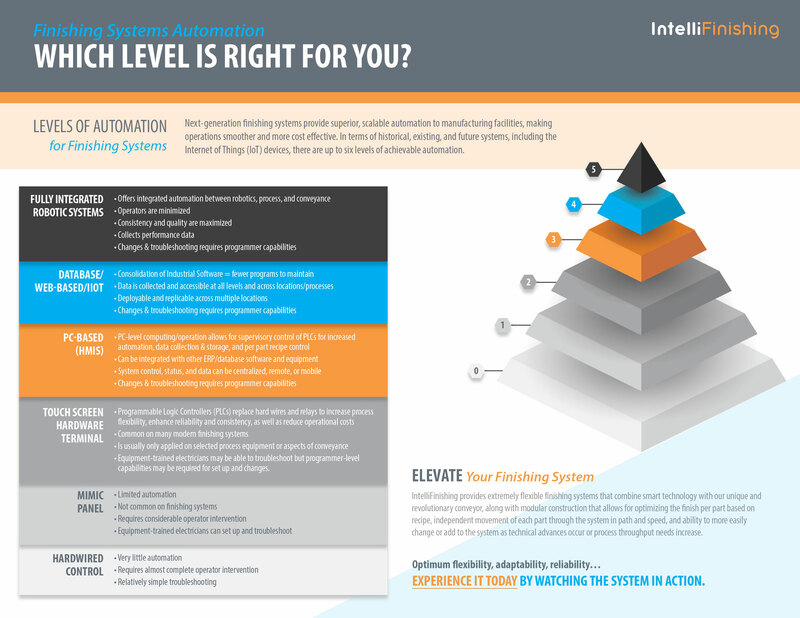 With automation, you can get better utilization of employees, improve efficiencies, gain quality control, reduced downtime and more. We've broken the levels of automation into 6 levels. Depending on your product and processes we can help determine which level is right for your facility. If it's time to upgrade, we can help you with that too. We offer the most flexible finishing system on the market, combining our smart controls and technology with modular conveyance. Learn more in our detailed blog article here.